“Kammarton Bulgaria” presents AXXAIR – the French leader in the market of orbital tube cutting, bevelling, squaring and welding machines. 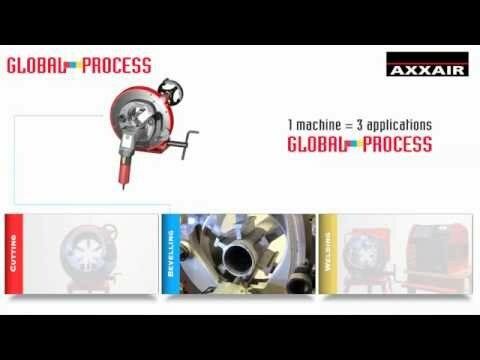 AXXAIR has been designing, manufacturing and distributing its orbital tube working machines since 1997. Soon to have twenty years’ experience under its belt, the group has become an international reference in this tube working market. AXXAIR can support its customers with innovative solutions to improve tube working productivity and quality on materials as varied as stainless steel, titanium, carbon steel, duplex and super duplex stainless steel, Hastelloy and even plastic. AXXAIR offers a standard range of products from its catalogue but also specific solutions from specifications for all its target markets.